While the constructs in defining an ‘artist’ today is a rather open-ended proposition, denoting the application of any singular or various disciplines, the meaning behind this creative profession has evolved significantly over time. 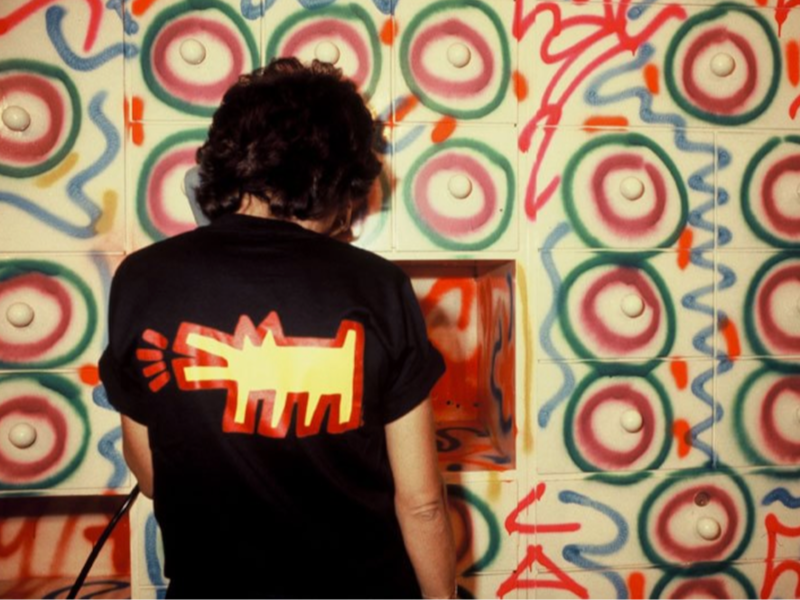 Whether conforming to the term ‘artist’ in a traditional sense, or embodying one’s craft through a cocktail of unique skill sets, the defining trait shared between all artists resides through their collective journey of self-expression in the exploration of the unknown. 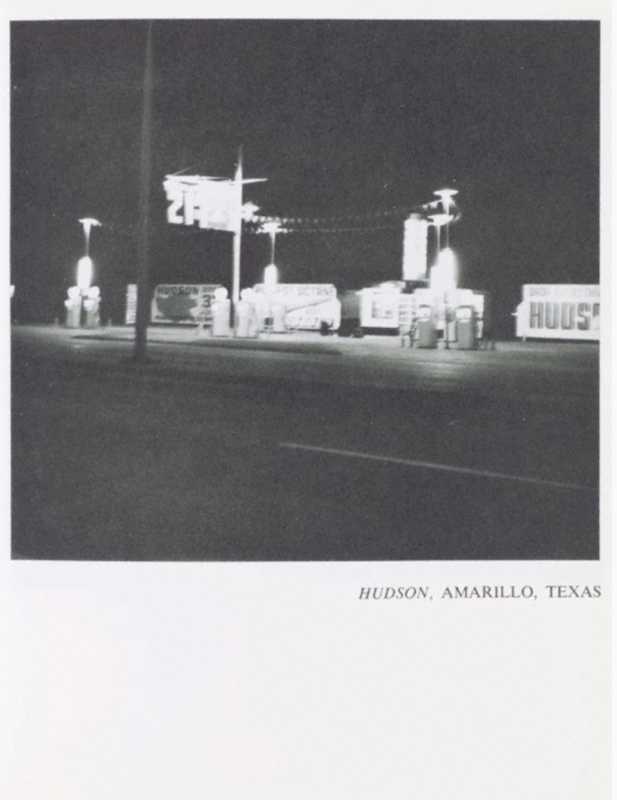 American artist Ed Ruscha began his career in the 1950s, way out west in California. 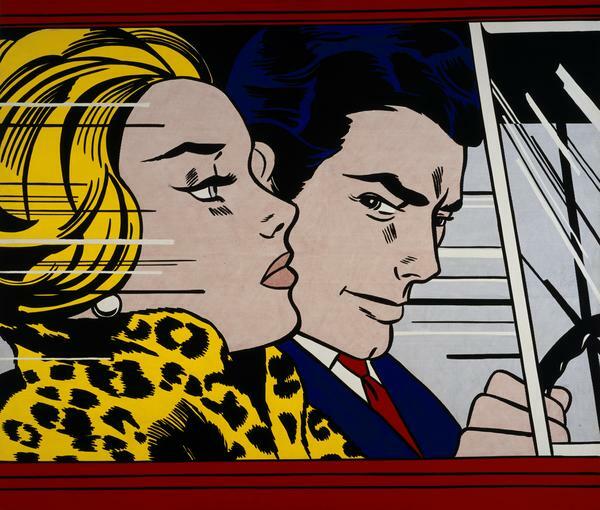 At a time when ‘Pop art’ was reigning supreme, with artists from Roy Lichtenstein and Claes Oldenburg, to Andy Warhol and Tom Wesselmann looking to reveal the banalities of everyday life through their work, the art world was still largely defined by two mediums, painting and sculpture. Art has always been a form of conveyance, however, the development of art within traditional modes of communication, such as the book, began in the 1960s. It was during these early years, when artists first began synthesizing their ideas in book form, that the rules and boundaries of what constitute an art object were blurred. 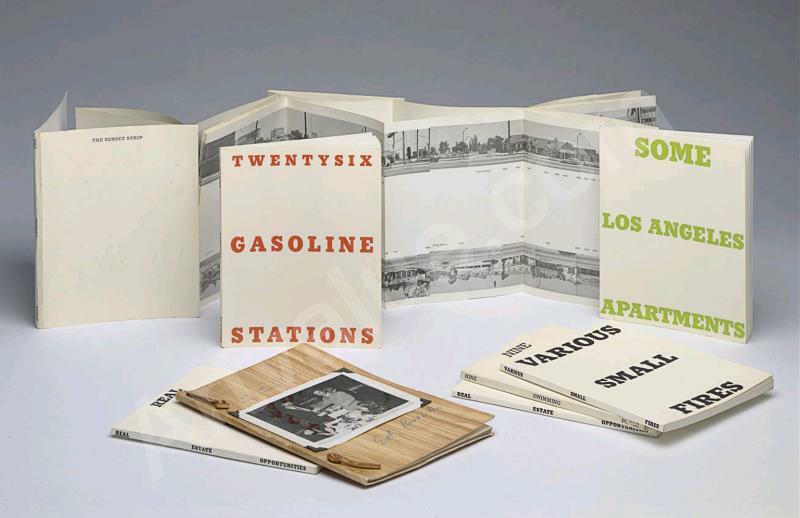 While Ed Ruscha’s early text paintings and landscapes complied with the Pop vernacular introduced by his contemporaries, it was Ruscha’s artist books that played a significant role in the emergence of non-traditional forms of art throughout the latter half of the twentieth century. 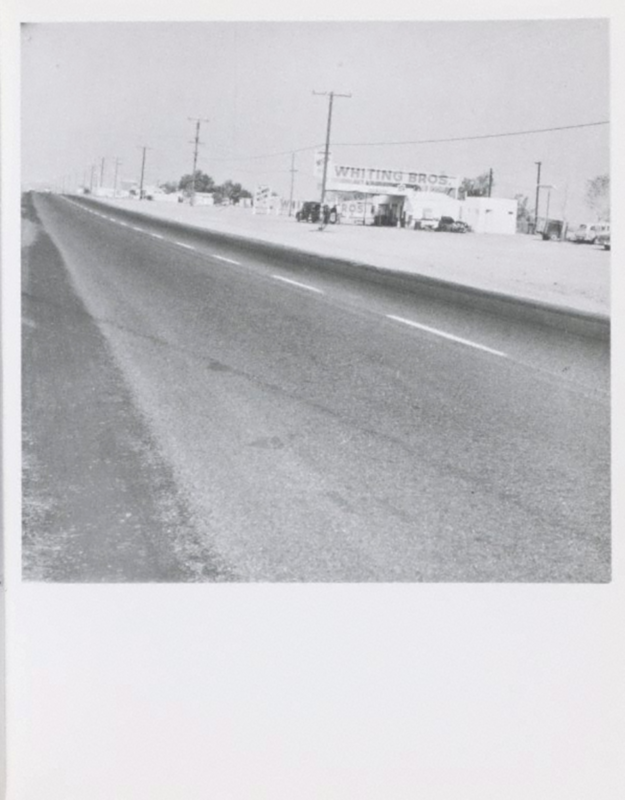 In the early 1960s, Ruscha began a series of small, proto-conceptual books, each focused on mundane, everyday subject matter with idiosyncratically deadpan titles. 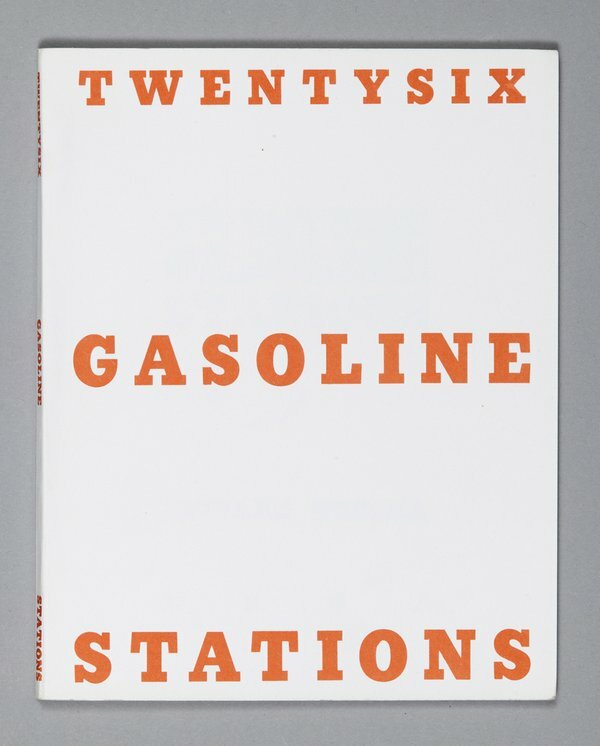 Throughout the 60s and 70s, Ruscha produced sixteen artist books, beginning with Twenty Six Gasoline Station (1963) and Various Small Fires (1964), to Every Building on the Sunset Strip (1966), Thirtyfour Parking Lots in Los Angeles (1967), Nine Swimming Pools and a Broken Glass (1968), and A Few Palm Trees (1971). 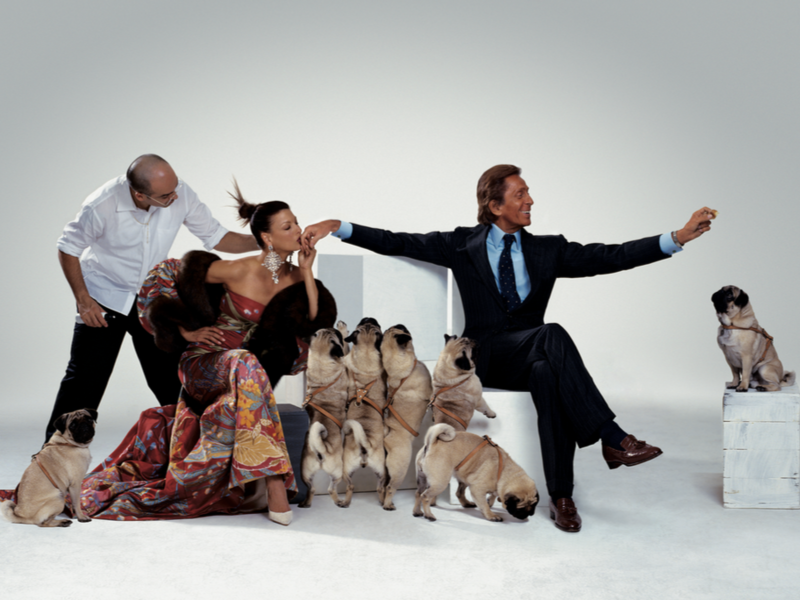 The artist’s nonjudgmental approach to his existing environment provided a model of receptiveness and openness to the world around him that had not existed before in fine art. 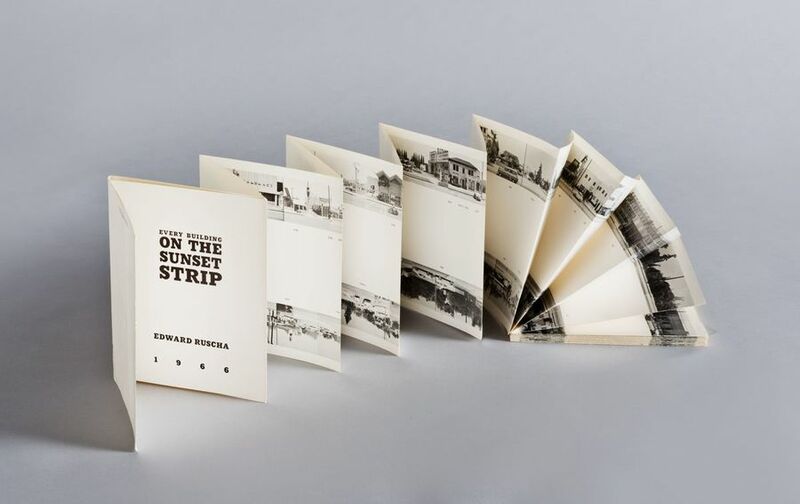 Ruscha’s photographic books embody the aesthetic vision of early artist books, in both their focus on the physical object and their objectification of the book as a medium. As the constituent materials of a work of art grew to be less important, its function and degree of participation needed by the spectator began to take precedence. 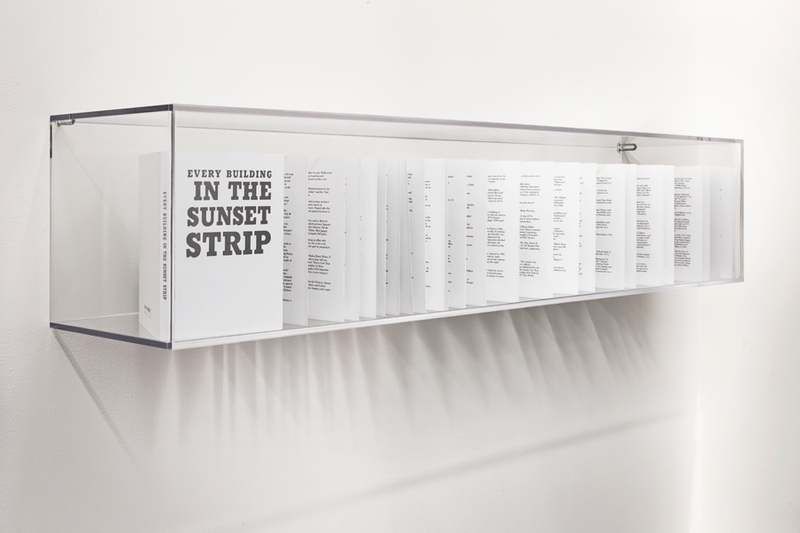 The aura of each book is tied to presence, and can neither be disassembled nor replicated. The individual images loose context when broken apart, thus the single photographs are subservient to the book as a whole. 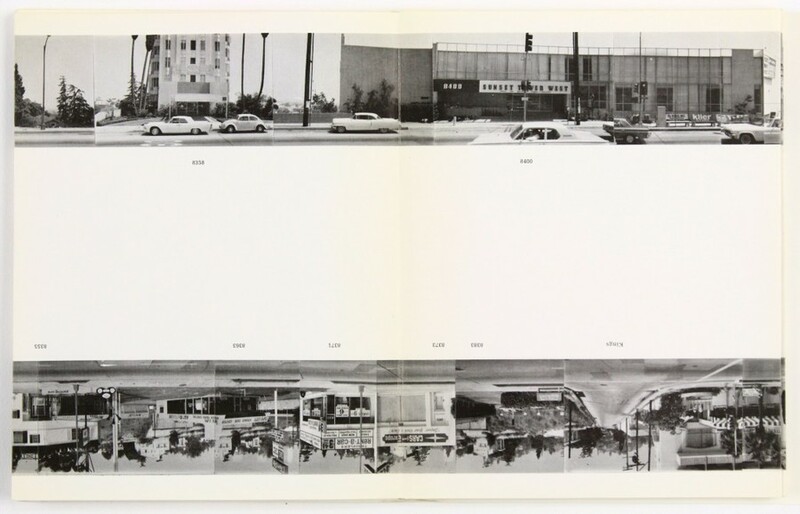 Ed Ruscha’s proto-conceptual books of the 60s and 70s were the starting point for a shift that occurred in the art world around the same time period. 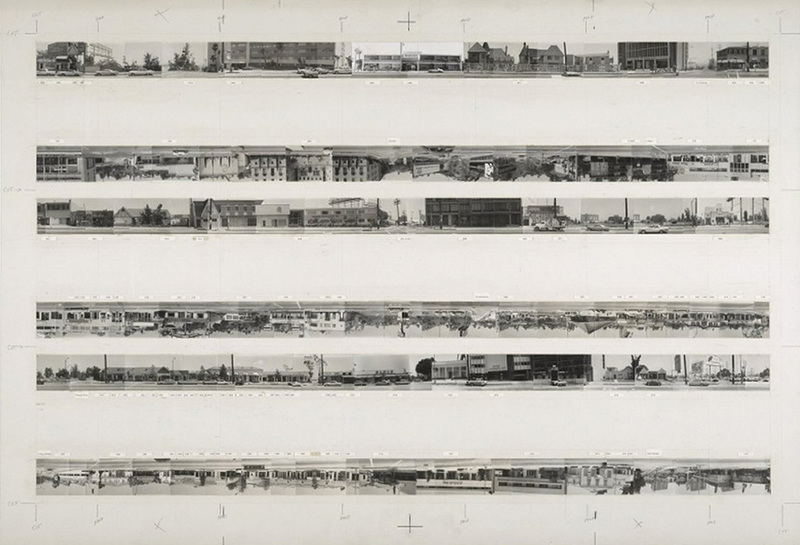 The coolness and ‘deadpan candor’ of Ruscha’s dry and direct mode of delivery, a byproduct of the artist’s overarching ‘aesthetic of indifference’, was at times misunderstood, making viewers somewhat uncomfortable. 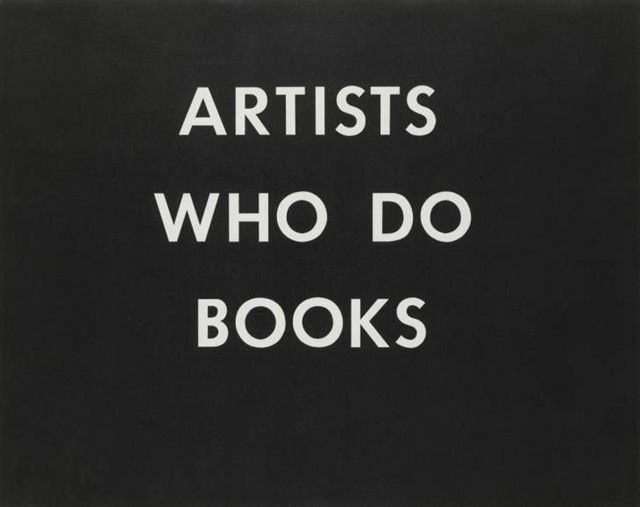 At a moment when artist books gained recognition as ‘anti-art books’, ‘all is possible’ became the operative rational of artists, at which time the art world transformed. 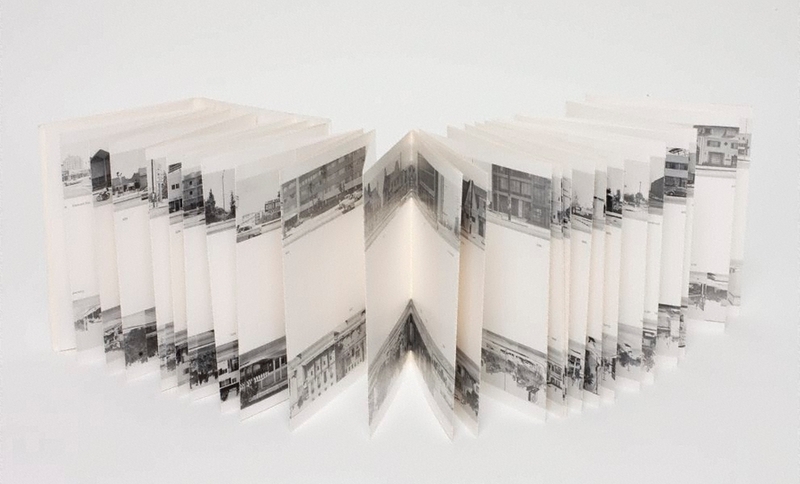 The simple act of bypassing the traditional roads of artistic methodology was the mindset that led first, to the inception of the artist book, and later to the formation of avant-garde movements such as minimalism and conceptual art. 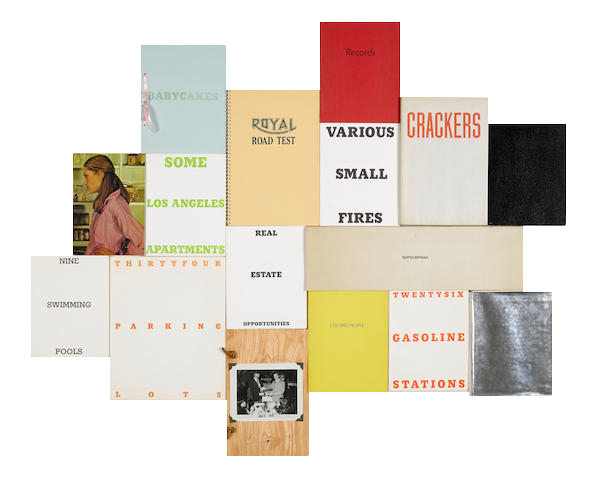 Over the past thirty years, close to 100 other small books have appropriated or paid homage to Ruscha's early work, while the fashion industry has alos seen moments of Ruscha-inspired influence, most notably in the collections of Raf Simons. 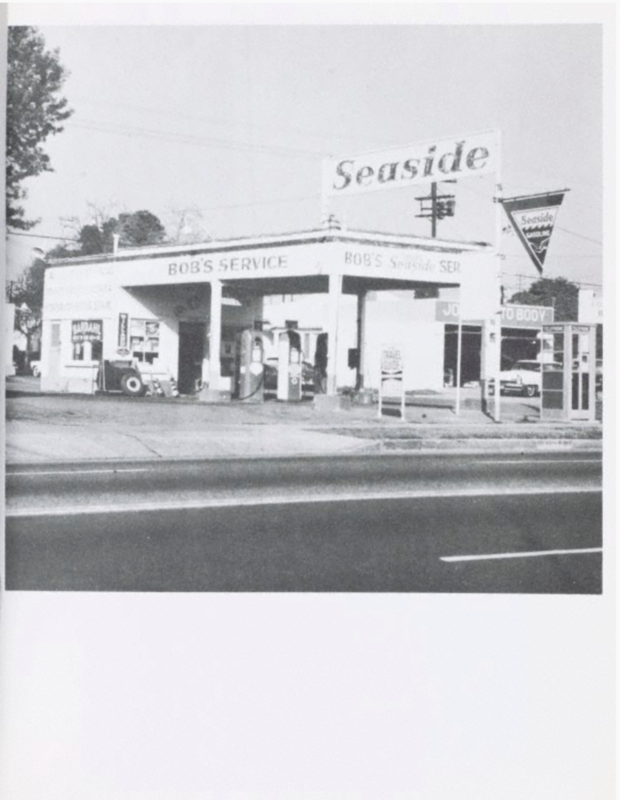 In 1995, Simons released a ‘Sea of Desire’ tote bag and t-shirt, sampling deadpan verbiage from a number of the artist’s text paintings, while for spring/summer 2005, the Belgian designer showed simple sweatshirts referencing Ruscha’s 1963 artist book ‘Twentysix Gasoline Stations’. Creativity loves a reference. 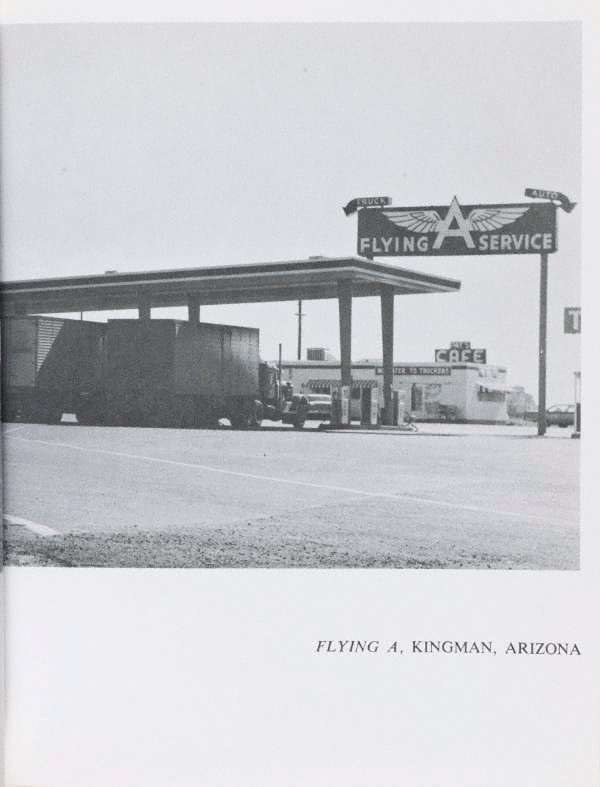 If the recent rise in popularity of Ruscha’s early books is any indication, they will live on for centuries through the enviable minds of his fellow artists.